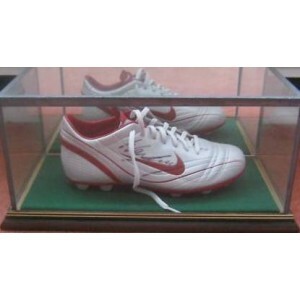 A range of bespoke boot glass display cases, ranging from football boot glass display cases, rugby boot glass display cases, cricket shoe glass display cases and golf shoe glass display cases. Ranging from cases for single boot glass display cases to a pair of boot glass display cases. 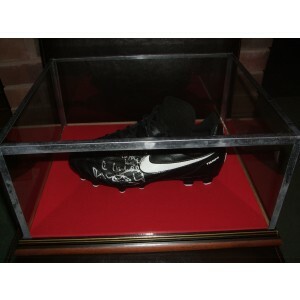 Football Boot Glass Display Case.